Ayushman Bharat Yojana or the National Health Protection Scheme was announced by the central government in 2018 budget. The health initiative is aimed at providing health insurance coverage of up to Rs. 5 Lakh per year to vulnerable families. The central government under the Ayushman Bharat Yojana will cover about 100 million (10 Crore) poor and BPL families (Approximately 50 Crore Citizens) from across the country. National Health Protection Scheme under the Ayushman Bharat Programme will provide secondary and tertiary care hospitalization. The complete cost of the scheme implementation including the insurance premium will be borne by the central and state governments. Ayushman Bharat Treatment Package Rates are finalized by the central govt. and will soon be uploaded on the new NHPM Portal. Latest Update: Check AB-PMJAY List of Hospitals to find Ayushman Bharat empaneled hospitals. In another initiative under the Ayushman Bharat Yojana, the central government would open 1.5 Lakh health and wellness centers across the country to bring health services closer to people. These health and wellness centers will provide basic diagnostic services and essential drugs for free. There is no need for any kind of enrollment, application or registration for availing the benefits of Ayushman Bharat Yojana. It is an eligibility based scheme under which the beneficiaries will be selected on the basis of different criteria including the SECC-2011 data. The eligibility for Ayushman Bharat Yojana can be checked by calling the helpline number at 14555 or by visiting the official “Am I Eligible” portal at mera.pmjay.gov.in. Till date, there is yet no official notification regarding the online registration / applications for Ayushman Bharat Yojana. However, after the cabinet meeting held last month in which it gives approval for Ayushman Bharat – National Health Protection Mission (AB-NHPM), it is expected that the applications will start soon. Now Ayushman Bharat Yojana Beneficiaries can also avail PMJAY services through Common Service Centers (CSCs). There is no need to apply online or offline for Ayushman Bharat Yojana, it is an eligibility based scheme. There are no online application forms or registration being made for the scheme. The eligibility criteria of Ayushman Bharat Yojana is solely based on the Socio-Economic Caste Census (SECC) data covering both rural and urban areas across the country. The total number of the beneficiary families would be about 10.74 Crore consisting of deprived rural families and identified occupational category of urban workers’ families. The National Health Protection Scheme / Mission under the Ayushman Bharat scheme will be implemented in all the states and union territories to cover all the targeted beneficiary families across the country. The programme will be implemented by the Ayushman Bharat National Health Protection Mission Agency (AB-NHPMA) under the supervision of Ministry of Health and Family Welfare, Government of India. State Health Agency (SHA), newly formed or formed using an existing trust / society / no-profit company / state nodal agency would be responsible for the implementation of the scheme in respective state & UT’s. The cashless benefits of treatment under the scheme would be available in all the government hospitals and empaneled private hospitals except the negative list across the country. National Health Protection Mission and Health & Wellness Centers are the two major initiatives started under the Ayushman Bharat Scheme. National Health Protection Mission will provide insurance coverage of up to Rs. 5 Lakh per family per year for secondary and tertiary care hospitalization. 1.5 Lakh health and wellness centers would be started in health centers / hospitals across the country. More than 18 thousands already in operation. About 10 Crore deprived rural and urban families (About 40% of the total population of the country) to be covered under the health insurance coverage scheme. The selection of beneficiaries to be done on the basis of SECC data. There will be no restriction on the size of the covered beneficiary family. The scheme will lead to timely treatment of the patient and increase in overall patient satisfaction. Overall efficiency and productivity of health care services will be improved thus improving the quality of life. The premium of the insurance coverage will be completely borne by the central and state governments based on the ration defined by the Ministry of Finance. State Health Agency (SHA) would be the responsible body for the implementation of the scheme in states. The cost of the treatments would be defined by the government in the advance as packages to control the cost. The benefits of the scheme would be portable across the country, meaning, a beneficiary can avail the cashless treatment at any government or empaneled private hospital in the country. To enable the paperless & cashless transaction, central government would establish a robust, modular, scalable and interoperable IT platform in partnership with NITI Aayog. What? Health & wellness centers to provide basic health services / diagnostics & basic drugs for free. 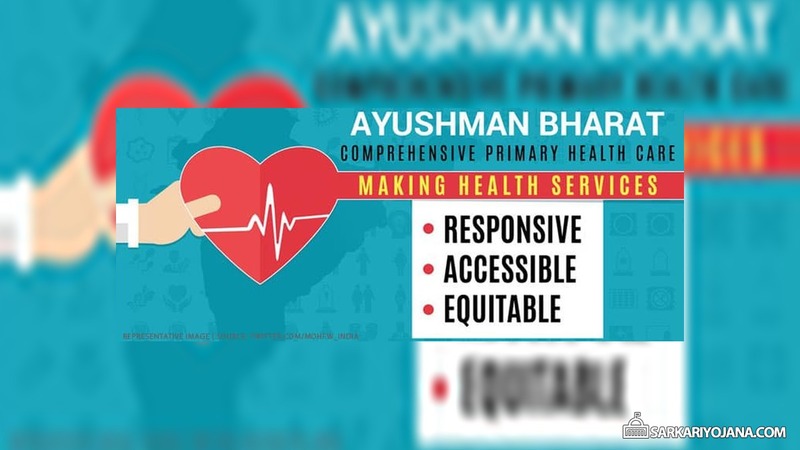 More details about the Ayushman Bharat – National Health Protection Mission such as list of hospitals, list of beneficiaries is available on the official website at pmjay.gov.in. so i proudof our govement .jai ho india. Ayusman bharat health scream kob start hoga,iam aggry this scream.please help me. Fantastic scheme for middleclass people. Which date application will be release.we want apply that. when one can apply for the post aayushman mitra . I am kishor i am intreasted your Ayushman bharat yojana helth insuran…. Sir can middle Class family apply for this health scheme And how to apply like Application forms and procedure. Pl. HELP. Under health account scheme we are giving health diaries to take care of citizens with the provision of once a month contact and updating on health-related all aspects- treatment tests, expense, and experiences. Lack of education and information can be done by one to one contact only as during baseline survey done under health account scheme only 3 % were found having access to the internet. PM Modi is going to launch this Ayushman Bharat Yojana 2018 Scheme on 15 August 2018. As soon as the Ayushman Bharat Registration Form will be available, we will update it here. As soon as the 2nd component of Ayushman Bharat Yojana i.e issuing of Health Cards will start, we will update the complete application procedure here. It may be around 15 August 2018. We are working towards the complete roll-out of Ayushman Bharat Yojana 2018 as soon as possible. Is this insurance coverage available for NHM contractual staff also, or u have criteria like BPL, SC ST ????? Is it chargible for the citizen. No, the entire premium will be borne by the central and the state government. This scheme is entirely free for all citizens and thus will serve the poor people to a great extent. VERY THANK FULL TO MR.PM NARENDRA MODI JI TO THIS GOOD PROJECT . MANU FAMILIES IN INDIA ARE NOT AFFORDABLE FOR MEDICAL EXPENSES. SO THIS WORK WILL BE VERY USEFULL .